PORTLAND, Maine — Gov. 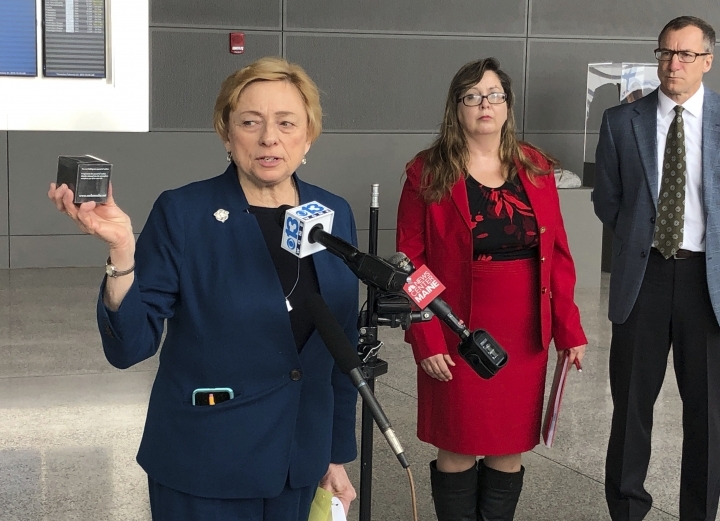 Janet Mills is throwing her support behind a 145-mile transmission line across western Maine to supply Canadian hydropower to electricity consumers in Massachusetts, citing economic and environmental benefits under a sweetened proposal by Central Maine Power. The $1 billion New England Clean Energy Connect will reduce reliance on fossil fuels, lower carbon emissions and reduce electricity costs across the region — at no cost to Mainers, said Mills, a Democrat. The New England Clean Energy Connect calls for building a high-voltage power line from Beattie Township, Maine, on the Canadian border to the regional power grid in Lewiston, Maine. Much of the project calls for widening existing corridors, but a new swath would be cut through a 50-mile segment of wilderness in western Maine. CMP already agreed to tunnel underneath the Kennebec River Gorge because of concerns raised by environmentalists. On Thursday, CMP filed a "stipulation" with incentives including $140 million for rate relief for retail customers, $50 million for low-income energy customers, $15 million to subsidize heat pump purchases and $15 million for electric cars and charging stations. 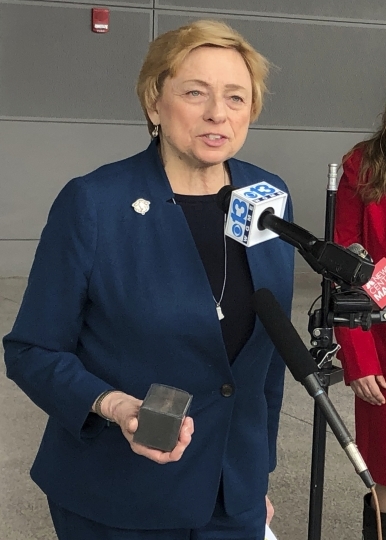 Speaking to reporters departing for the National Governor's Association meeting, Mills said she believes the project will win a certificate of public need and necessity by the Maine Public Utilities Commission. But there will be further review by the PUC and other state and federal agencies. She said an independent consultant, London Economics International LLC, concluded carbon dioxide emissions would be lowered by 3.6 million metric tons and ratepayers would save $20 million to $40 million per year. Holding up a cube of carbon, she said the carbon reduction would amount to 80 million pounds. "Eighty million of these one-pound cubes of carbon — no longer emitted into our atmosphere. To me that's significant," she said. This story has been corrected to show the transmission line would start in Beattie Township, not Mount Beattie Township, on the Canadian border.